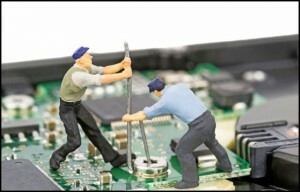 When you need to repair a broken computer, PC Fixer is your top choice for professional home computer service. Whether you need a technician to come to you or you choose to set up a convenient remote support session, our team provides fast and efficient service at a reasonable price. We can provide in-home and onsite office visits in response to your call the same day in most cases. Our friendly technicians are standing by to meet your every need. If you find that your power cords need mending, your motherboard needs replacing, your fans need refurbishing or your power supply has failed, our team of repair techs are here to work smartly for you. With our expertise, you can save yourself the expense of buying an entirely new machine. We provide quick laptop repair and computer repair in Los Angeles for any kind of user any any type of situation. 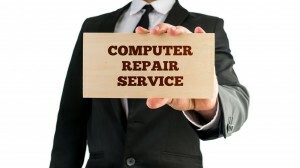 Let us diagnose the problem and provide you with the expert in-home computer service you need. We treat all requests for repair service with urgency. Getting your machine back into operation is a priority matter for us. Wherever you are in the Los Angeles area, our mobile computer repair experts will arrive prepared to do the work and will focus on fixing whatever problems you might have. Moreover, our technicians are respectful of your time. They know they are working on the clock and will work to fix your broken MacBook Pro, PC laptop or any other type of computer, as efficiently as possible. We serve the greater Los Angeles area with prompt expert care. If you call us at (310) 948-0588 before 10 am we can usually arrive within four hours. Please also feel free to email us at info@pcsfixer.com and we will respond to your inquiry ASAP.